I’ll come right out and say it. We are real Christmas tree people. I appreciate the argument some folks make in favor of fake trees, but I do not want a hunk of plastic in the middle of our family memories. For the past two decades we have gone off to the same place the week after Thanksgiving to get our tree. I’m so focused on our family’s story that I hadn’t thought much about what gardeners can learn from the people who grow Christmas trees. 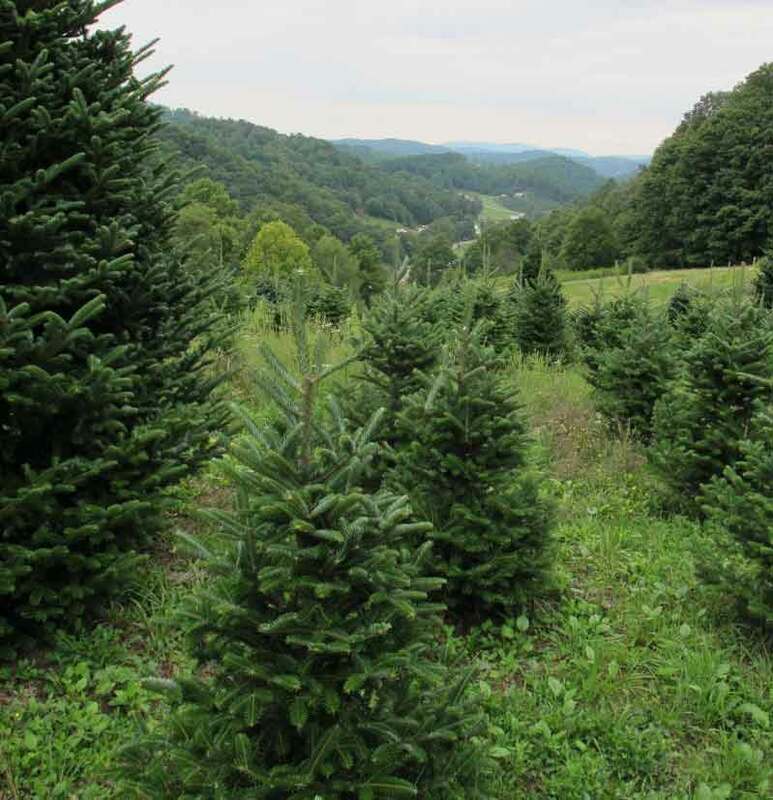 • NC is the #2 producer of Christmas trees in the nation and Ashe County produces more trees than any other single county in the country. • NC trees are sold along the east coast, into the Midwest, and internationally with trees going to South America and Europe. • While over a dozen species are commercially grown in the state, our native Fraser fir is the top selling tree. 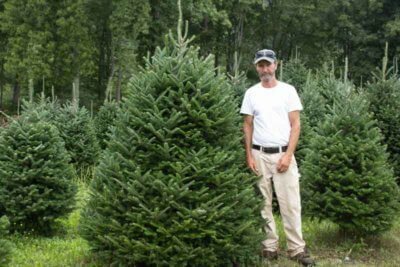 A Fraser fir cut in November can hold its needles until February, making it popular with buyers. • It takes 7 to 10 years to produce a Christmas tree and the work is done by hand. That last item caught my eye. The five to seven million Christmas trees harvested annually in our state are grown by hand. I talked with Joey Miller, a Christmas tree farmer in Watauga County, as he geared up to put 6,000 trees on his land. He and his son plant the two-year old seedlings then they mow and maintain the area around the trees. The goal is establishing enough of a cover crop to control erosion and provide habitat for beneficial insects, while preventing weeds from smothering the young trees. Each year Joey shears the trees using a machete-like tool. The trees’ sticky resin quickly coats the blade so it has to be cleaned with rubbing alcohol. Or if he’s lucky Joey might get to work in the rain and the wet blade does not gum up as fast. Every week Joey and his son are working with their trees—mowing, doing maintenance projects, or scouting for pests. Like many commercial crops sometimes Christmas trees have to be treated with chemical pesticides to mitigate or deter the impact of pests that can kill or render it unsellable. The stakes are high as North Carolina trees are sold across the country and our growers don’t want pests hitching a ride on outgoing trees. Using integrated pest management practices, growers take advantage of nature’s balancing forces. But that requires patience, diligence, and knowledge to employ the right chemical tools as a last resort. This approach is succeeding. Since 1994, in North Carolina there’s been a steady reduction in the pesticides applied—saving tree growers time and money, plus helping the environment. That sounds a lot like gardening to me.